CashHopper: The definitive Guide to getting Direct Referrals!!! In the world of PTC, Direct referrals is the King Maker!!! The more Active Direct referrals you have, more are your earnings. It's that simple. Directs are great because they are free. When someone joins under your referral link, they are added as your down line. When they make money, you make money!!! Now the million dollar questions is, how do we get people to sign up under our link. I will try to simplify things a bit for the newbies with this post. Now these are not hard and fast rules I am listing out here. Not all of them work, certainly not all the time. But they will give you a broad idea on how to go about getting referrals. Sort of like getting your feet wet!!! So, here is my list of pointers to help you add people to your downline. This is applicable to all PTC's you are a member of. 1. Promote your referral url through your blog or website - If you own a website or blog you can easily place your referral banner ads on it. When people who visit your website click one of those links and register, they will be automatically added to your downline for that particular program. GoDaddy has this amazing Website builder which lets you make websites in a jiffy. Totally ideal for someone who has no prior experience. And it's fun too. So what are you waiting for. Go ahead and make your website with GoDaddy. 2. Promote your referral url through Manual Traffic Exchanges - Traffic exchanges are another great way of promoting your referral url. The way it works is like this. You register on a Traffic Exchange site. Once your account is activated you need to enter your website or referral url. You then start to surf websites from your account. Now here's the coup de grace. For each website you surf, you will get an equal amount of visitors visiting your site or referral url which you have entered. Most Traffic Exchange sites give you a 1:1 surf ratio meaning for every site you surf, you get one visitor to your site or referral url. When it comes to Traffic Exchange sites, there are many to choose from. But the one I am using and one which I feel is the best of the lot is EasyHits4U. It has been online since the past 10 odd years catering to the needs of website and PTC owners alike. Great and easy to use platform with a lot of benefits. Just fill in all the details and you are ready to go. Once you are satisfied, you can upgrade your account for even more benefits. I use EasyHits4u everyday to promote my referral links. It has got a great 5 tier referral program as well. Which means while people visit your referral link and sign up under you, you get paid for it as well. Aint that cool?!! EasyHits4u will be the only Traffic Exchange program you will ever need. I can vouch for it as I use it myself. I highly recommend it. 3. Promote your referral url through PTC sites - This is by far the easiest way to promote your referral link. Most PTC sites pay you to promote your link. Another fantastic place to promote your link is buying a slot on the Ad Grid present on most PTC sites like ProBux, NeoBux (Ad Prizes), Clixsense, NerdBux, Twickerz, Scarlet Clicks, PTC Solution, Bucks4Shares, Clixten etc. You can use your account balance to buy these ad slots. Trust me, these go a long way in getting you direct referrals. Some sites let you pay for these ads with the points you collect by completing various offers and tasks. So take your pick and don't hold back in promoting your link. Go for it!!! 4. 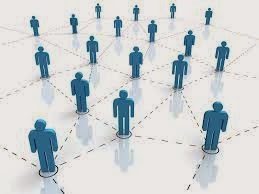 Promote your referral url through Social Networking sites - Who does not have a Facebook accounts with thousands of friends these days. No brainer right? Yes! You can now use the social networking platform to get referrals. My suggestion is to construct a nice, catchy description (I will make you an offer you can't refuse types) and insert your referral link in it and Voila! Publish it. I am sure all your friends and family would be more than interested in earning a second income from the comfort of their homes. Don't you think so???!! You can tweet your link as well. There are so many social networking sites available today. It's like they are literally begging you to make good use of them. You can also post your links on the many forums pertaining to earning an online income, available on these sites. So what are you waiting for?? Get on your social network and reach out to your audience!! 5. Promote your referral url through email - This one option is not as fashionable as all the others listed above but it's still pretty darn effective. If you have a big list of contacts, now is the time to make use of them. Come out with a catchy description of your PTC site and insert your referral link in it and email it to all your contacts at once. People still check their mails on a daily basis and who knows someone might click on your link and decide to register. Let's not leave any stone untouched. Go for it all!!! I have listed above a broad spectrum of possibilities to market your referral link. Once you register at the various PTC's listed in this blog, make sure you use the above guidelines to get Direct referrals. But Hold on!!! This game is all about patience. If initially, you don't get any referrals don't be disappointed. It is only a matter of time before they start coming in. So go ahead. Get in the game. Register and be on your way to getting loads and loads of referrals. mình choi nhiều PPC lắm, nhưng thấy chỉ có 3 thằng uy tính, có trả tiền dàng hoàn. và cách quản cáo của nó chân thật. Hơn nữa nó đã thành lập luôn một công ty. +1 Ojooo.com trang này của Đức, đã đang kí công ty, quy mô khá lớn. +2 Neobux.com trang này anh em nào chơi PPC đều tham gia hết, tuy tiền ít nhưng rất chắt chắn, cứ đủ tiền là nhận được ngay. +3 Probux.com trang này thì khá nội tiếng, nên rất nhiều người chơi, có lúc bị lổi sever do người truy cập quá nhiều. các bạn nào newbie thì nên tham giac 3 trang đó trước. còn những trang khác không có uy tín thì ngồi làm cho đã không nhận được $. thì nãn chí lắm. ngoài ra còn có thằng: Donmailkey.com thằng này mình đang đợi nhận tiền, khi nào nhận được thì sẽ hướng dẫn các bạn chơi. chúc các bạn kiếm được nhiều $. Nào anh em ta cùng chiến – Chúc mọi người có một ngày tốt lành.